Gluten Free, Low Fructose Choc Chip Cookies. Choc chip cookies are pretty much the queen of all the cookies… but we’ve never ever made healthy choc chip cookies! About time, hey?! 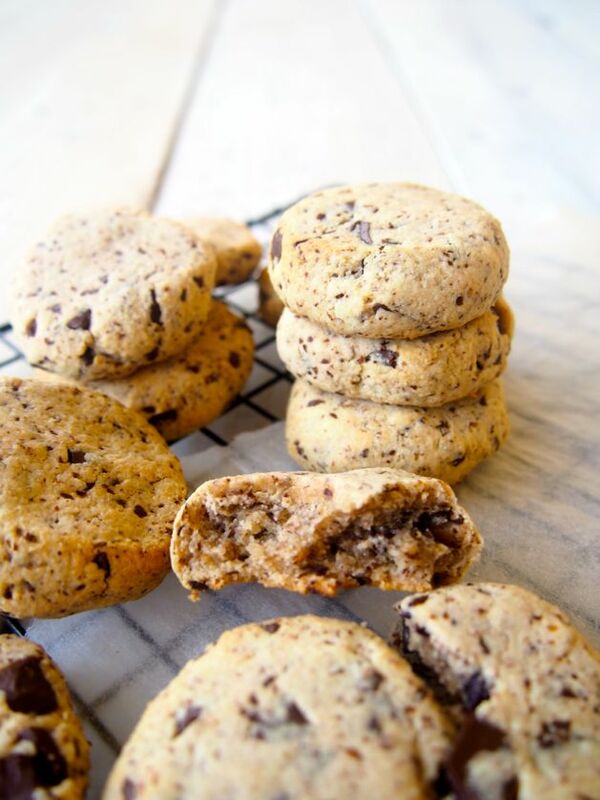 These Gluten Free, Low Fructose Choc Chip Cookies are going to blow your mind! These cookies are guaranteed to rock your merry socks because they are the one bowl kinda cookie. You know how we feel about less washing up! It’s a win win situation, yes, a good situation! We used our buddies Primal Collective Ghee to make them super caramelly and sweet! 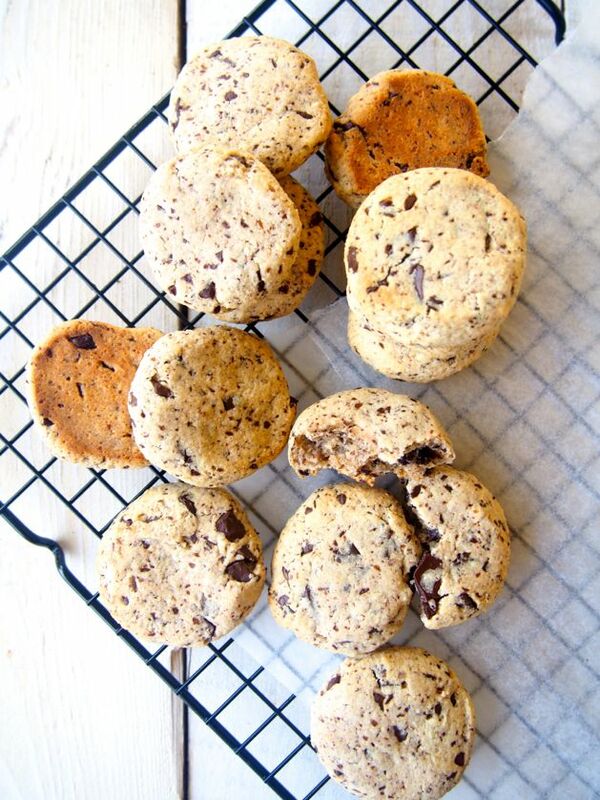 They’re sugar free, grain free, gluten free and low fructose choc chip cookies but full of deliciousness! We just know you’re gonna love them! And be sure to let us know if you do! Comment below or share your Merry Low Fructose Choc Chip Cookies on social media! ps. 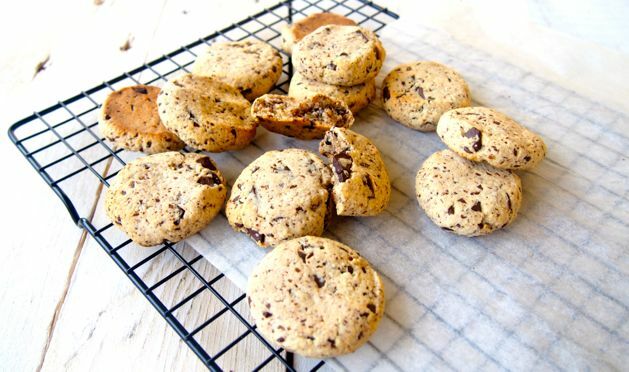 we have other cookie recipes here on themerrymakersisters.com PLUS we have 2 delicious paleo cookie recipes in our Make It Merry Cook Book! Comes in hard cover and eBook. Check it out here! In a large bowl place the melted ghee, rice malt syrup, egg, vanilla and whisk until combined. Spoon tablespoons of mixture on to the prepared baking tray. It should make about 12 cookies. Place in to the oven for 15 minutes, allow to cool and then ENJOY! YUM! Thanks to Optimoz for the delicious ghee! Find out why and how we work with brands… it means that we can keep on creating yummy stuff for you… like cookies!